Industry recognizes that Very Small Entities (VSEs) that develop software are very important to the economy. A Very Small Entity (VSE) is an entity (enterprise, organization, department or project) with up to 25 people..Failure to deliver a quality product on time and within budget threatens the competitiveness of VSEs and impacts their customers. One way to mitigate these risks is to put in place proven software engineering practices. Many international standards and models, like ISO/IEC 12207 or CMMI®1, have been developed to capture proven engineering practices. However, these documents were not designed for VSEs and are often difficult to apply in such settings. 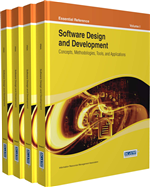 This chapter presents a description of the development of process improvement international standards (IS) targeting VSEs developing or maintaining software as a standalone product or software as a component of a system. The documents used by ISO/IEC JTC1/SC72 Working Group 24 (WG24), mandated to develop a set of standards and guides, and the approach that led to the development, balloting of the ISs, and TRs (Technical Reports) for VSEs are also presented. The chapter focuses on the ISO/IEC 29110 Standard3, the development of means to help VSEs improve their processes, and the description of a few pilot projects conducted to implement the processes of ISO/IEC 29110 standard. Most software engineering centers, such as the Software Engineering Institute (SEI), dedicate a large portion of their resources to large organizations. Even though there seems to be an awareness of the needs of Very Small Entities (VSEs), a VSE is an entity (enterprise, organization, department or project) with up to 25 people, published software engineering practices are still for the most part difficult to use by organizations with up to 25 people. A few centers around the world are focusing their Software Process Improvement (SPI) activities on small enterprises and VSEs. Some centers and initiatives and their accomplishments in helping VSEs are discussed in (Laporte, Alexandre, & O'Connor, 2008; Laporte, Alexandre, & Renault, 2008; Oktaba et al., 2007; Laporte, April, & Renault, 2005; Habra, Alexandre, Desharnais, Laporte, & Renault, 2008). Develop means to accelerate the adoption and implementation of the ISs and TRs. In the next section, the standards that have been used by WG24 to develop the ISs and TRs for VSEs are described.